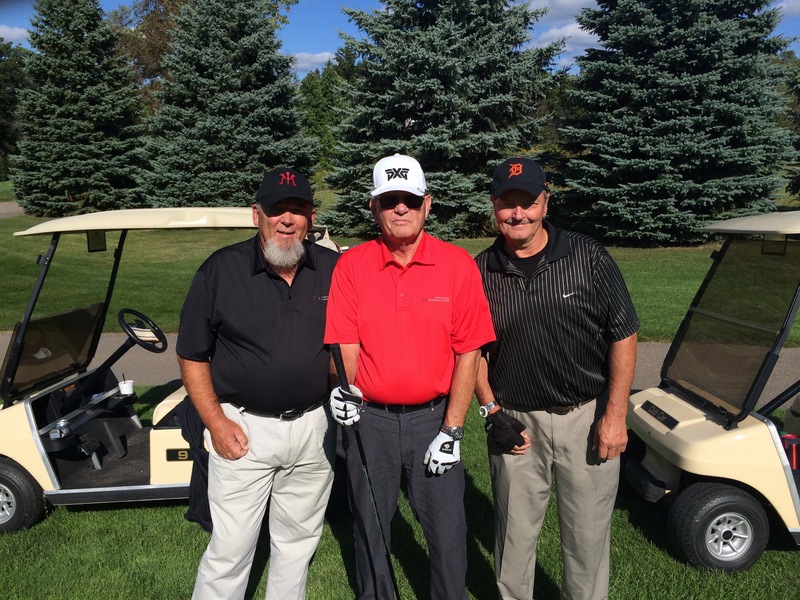 The Great Lakes Chapter of the ICG held their Fall Meeting (9/13/2015) at Golfer's Advantage in Fenton, Michigan. ICG member Gary Cottrell hosted the meeting, which had 22 attendees from Canada (2! ), New York, Connecticut, Illinois, Ohio, Indiana and the four corners of Michigan. Certified members and COY (Clubmaker of the Year) judges Jerry Hoefling, Sr. and Bob Uebelhor and ICG sponsor and member Roy Kaltz each presented workshops. The meeting was followed by golf at the Arnold Palmer designed Coyote Preserve Golf Club. Pictured above, left to right, are Ray "Sea Hunt" Tomaszewski, Jerry "Birdie Leader" Hoefling, Sr., and Don "Spud" Stadnika. Enjoy some of the highlights below. ICG members can watch the workshops in their entirety at the ICG Resource Library. Not a member? Please join here.